Mehndi is an essential part of our Indian culture and more so for the Indian Weddings; Also each region in India has developed its own original style of mehndi patterns and today we are going to show you one of the most popular of them all – Marwari mehndi designs. 1. This beautiful design is very apt for weddings as well as any special occasions. 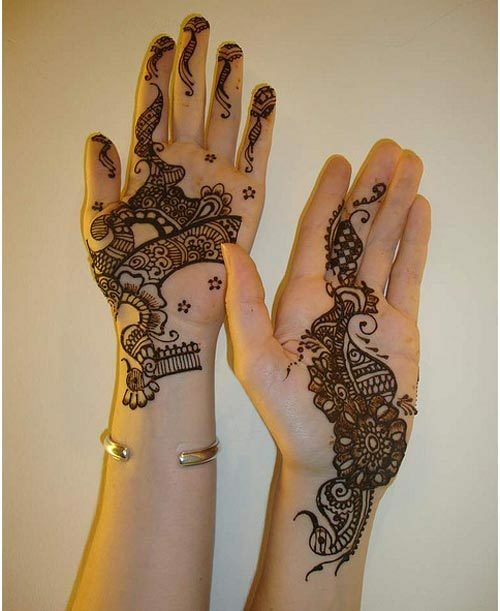 Your hands will surely become more beautiful with this mehndi design. This marwari mehndi design mainly is inspired from Flowers and objects that contain many floral motifs. There are a lot of details done in this design, so it might not be suitable for beginners. 2. Some of us don’t like very intricate patterns and details and want just some simple designs to try. So here we have a very simple design that keeps itself quite fuss free. The details are very less as compared to an average marwari Mehendi design. The design also shows a lot of open skin to make it look beautiful. We love the floral patterns and unique designs present here. 3. 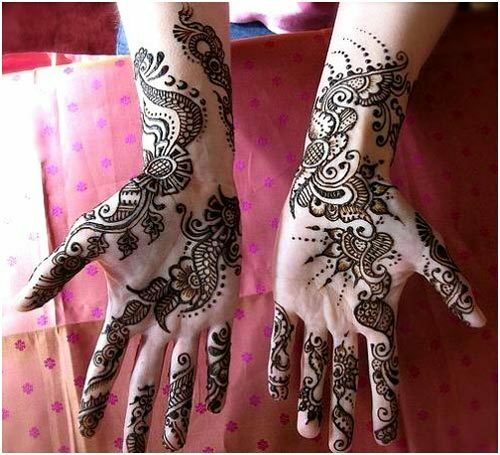 Those who want something a bit more traditional can try this Mehndi design. 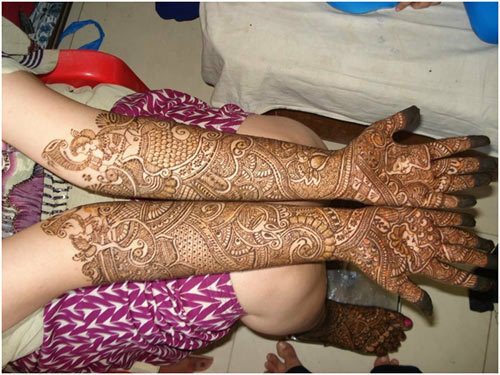 It has true traditional designs done with normal Indian mehndi and the design looks good on anyone. With a bit of practice, you can do this by yourself. The tips of the fingers in this design are kept closed and the design has fewer intricate designs making this a great design for anyone and any occasion. 4. This is a contemporary design that looks perfect for a wedding. 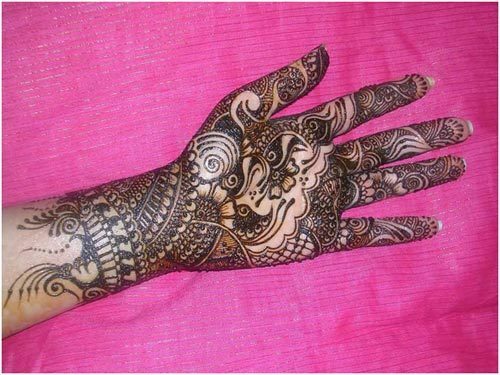 Brides who prefer mehndi designs which do not cover the full palm or back of the hand can opt for this. There is a bit of detail as well as shading. 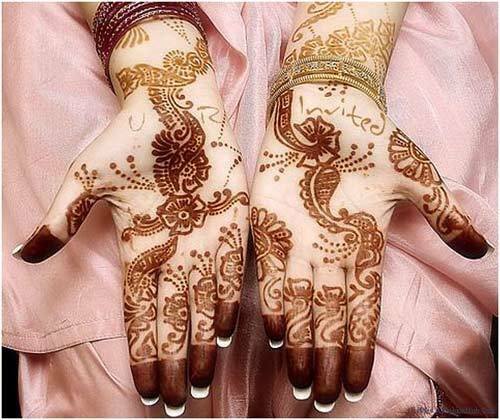 But good amount of skin is left free from mehndi giving it a nice contemporary look. 5. 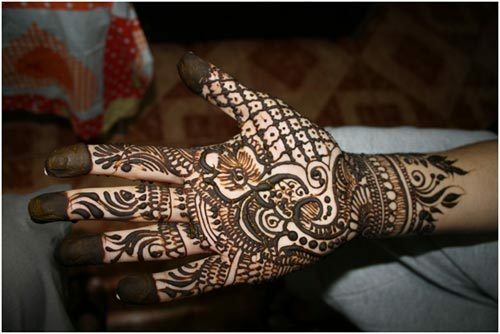 Those looking for some traditional yet simple mehandi design may go for this one. 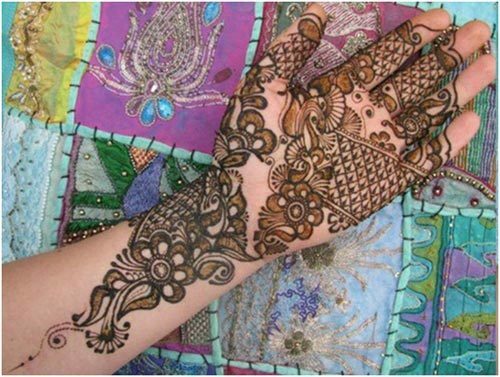 The motifs used here are traditional with the tips being left open creating a great blend of latest and traditional mehndi styles. We love the unusual motifs and patterns on the hands. This design will suit brides very well. 6. This is a unique marwari mehndi design that we usually do not see anywhere. A mix of floral and weave patterns is seen on the palm and there are a lot of open spaces on the palm too. We also love the open tips of the fingers. There is a lot of shading done in the flower patterns which we love. 7. This beautiful design looks very pretty on the Bride’s feet. As an Indian bride, on some occasions a lot of attention goes on the feet with many a rituals involving the feet, so why not do this beautiful design which is not at all cluttered and just adds a lot of definition to the toes and has an anklet type of design near the ankle. The design is small but it has a lot of small details and designs making it a luxurious choice for the bride. 8. 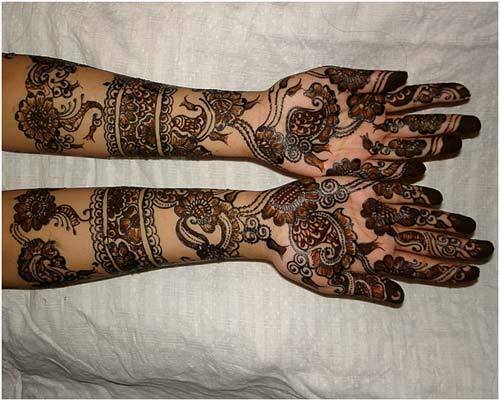 This design is extended till the elbow and is very apt for the bride. There are a number of minute details which require a lot of expertise. This design is a mix of traditional floral, weave as well as other motifs and also includes contemporary shading effects too. 9. 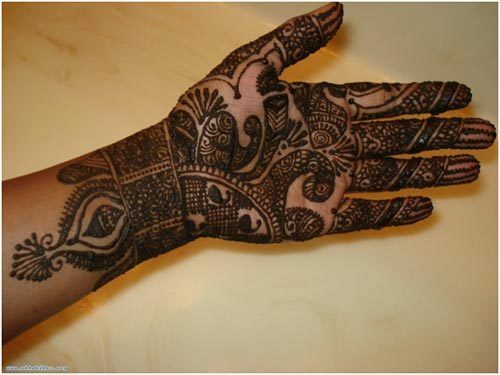 This simple mehandi design will look very pretty on anyone’s hands and will suit any occasion. The motifs are kept quite traditional and the design has very small details making it suitable for any occasion. Also the tips are kept closed to give it a traditional effect. 10. This latest of marwari mehndi designs is a contemporary design looks very good on any occasion and will suit brides too. We love the design as it is not too cluttered. A great choice for the contemporary Marwari bride. We hope you liked these designs. Do share what you feel about these in the comments below and I will be back with more such mehndi designs in my new post.